In an effort to fix its reputation, Huawei has launched a webpage dedicated entirely to addressing 5G cybersecurity concerns, its relationship with countries it has partnered with and how seriously it takes cybersecurity concerns. Bloomberg BNN reported the site was launched on February 12th. MobileSyrup has reached out to Huawei Canada for more information. “Huawei believes that the establishment of an open and transparent security assurance framework will be conducive to the sound and sustainable development of the entire industry and technological innovation; it will also facilitate smooth and secure communications between people,” the website reads. Tensions between Canada and China sparked when Huawei CFO Meng Wanzhou was arrested in Vancouver. The U.S. charged her, her company and its subsidiary Skycom with 13 counts of bank and wire fraud. She currently faces extradition to the U.S. The U.S., Australia and New Zealand have all banned Huawei from providing networking equipment in jurisdictions. The federal government is currently considering whether to do the same in Canada. 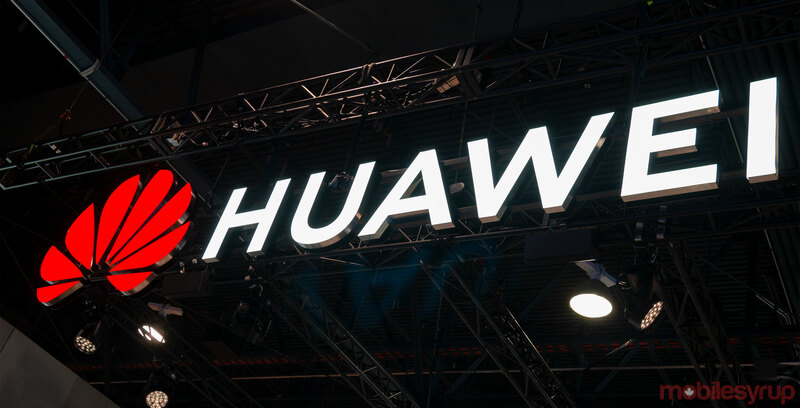 In addition, Huawei’s website details the company’s plans to spend $2 billion USD (about $2.6 billion CAD) over five years on research and development. Huawei Canada’s president Eric Li said that Canada would get some of that money, though did not specify an exact number. In Canada, Huawei employs nearly 1,000 people of which 500 are dedicated to R&D. Huawei’s website indicates that every year five percent of the company’s budget is spent towards cyber security R&D, and the $2 billion would be aditional to that. “This is a crucial company strategy and demonstrates our commitment to expanding and refining a robust compliance system to ensure we abide by all applicable laws and regulations in the countries and regions where we operate, including all export control and sanction laws and regulation of the UN, US, and EU. This is both corporate policy and our most fundamental operating principle,” Huawei said. Huawei goes on to elaborate that the company will make “all sacrifices” in order to defend security without harming anyone or any country. In September 2018, Canada’s Communications Security Establishment confirmed it tests both equipment and networks. “As part of the cyber security mandate, CSE works with telecommunications service providers representing over 99 percent of Canadian subscribers,” CSE told MobileSyrup at the time. However, the CSE hasn’t detailed how it goes about that testing. Huawei says on its website that it has two security testing environments in Brussels and in the city of Dongguan, China. “These environments provide the necessary testing tools, equipment, resources, and technical support for customers or their designated third-party institutions. This helps them independently verify the security of Huawei’s products. Many customers have completed verification with the support of Huawei,” it said. In Canada, Huawei has been working with Bell and Telus to deploy their respective 5G networks. However, during BCE’s recent Q4 2018 earnings call, CEO George Cope said that if Canada bans Huawei, the carrier would still be ready to roll out the next iteration of mobile technology. Innovation, Science and Economic Development Minister Navdeep Bains said to MobileSyrup during a sit-down interview that his department would support both carriers whether or not the company is banned. He noted that he has an open door policy and has constantly been in conversation with the carriers.